A Film Look » Top Five is Top of the List. Top Five is Top of the List. 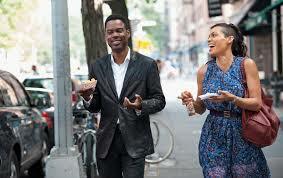 Chris Rock has crafted a great comedy out of a journalist’s purse essentials, wedding bling, stuff people do on the side, and drunken judgment. Simple, classic structure, good payoffs and laughs. More than interesting.